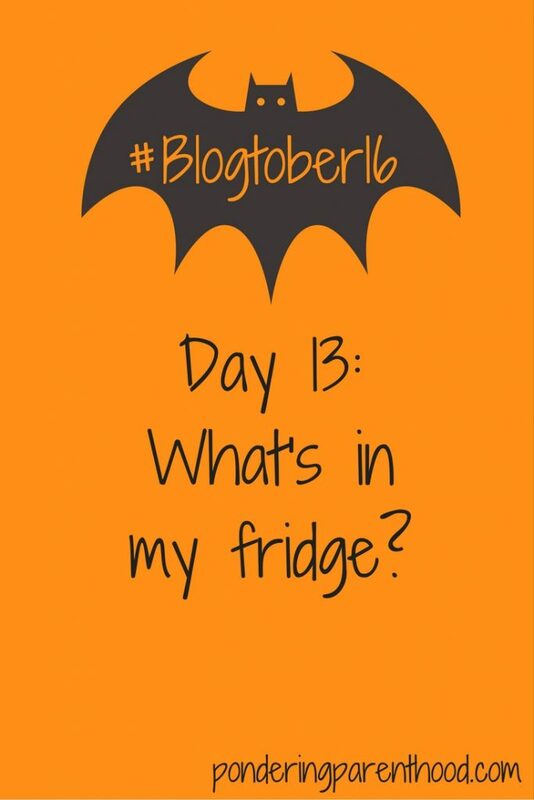 I’m afraid the contents of my fridge isn’t terribly inspiring! I imagine that this sort of thing is quite revealing about the owner, though. We don’t tend to have too much waste, fortunately, although I do sometimes have to stop myself doing a full-on supermarket delivery some weeks, and just pop to the shop for a top up instead. I tend to mostly portion and freeze meat, then defrost it as we need it, but I’ve been a bit busy since our delivery, so I just shoved it in the fridge. This means at the moment you can find bacon, gluten free sausages and chipolatas (both were on offer!) and chicken breasts. Hubby and I tend to cook almost all of our meals from scratch. We didn’t even own a microwave until Little M was born, and now we mostly use it for sterilising and occasionally for heating up leftovers if it’s something I can have for lunch the next day. We also have lactose free milk (something I tried when I was trying to work out my IBS issues – it turned out to be gluten that was the problem, but for some reason we’ve stuck with the Lactofree), a big block of cheddar cheese and some ham for sandwiches. In addition to this, we have a small bottle of fizz and some chocolates that our wedding photographer gave use when she delivered our wedding album in January. I was pregnant at the time and didn’t want to drink, so we saved them for a time we could sit down and look at our wedding album together and enjoy them – that time still hasn’t come yet! Generally our fridge is pretty standard in terms of its contents I think – the only thing that might be considered slightly unusual is the row of little bottles of expressed breast milk on the top shelf at the back! 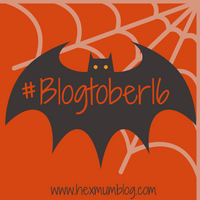 "#Blogtober16 Day 14: The Meaning Behind My Blog Name"
"#Blogtober16 Day 12: What’s in my PacaPod changing bag?" I used to love seeing the little bottles of breast milk in our fridge. It always felt like an achievement! Would be good to know what a typical day is like for you and how you manage cooking, expressing and looking after little M. I just can’t seem to get everything together, even 7 months on! To be honest hubby and I usually share the cooking so if I don’t manage to get dinner started, then he does it when he gets home. I’ll quite often prepare veg etc at around 3pm if Little M is in a sunny mood and those times she will happily sit in her bouncy chair in the kitchen and I’ll talk and sing to her while I’m chopping for ten minutes. Similar with expressing really. I think about the time and try to express within a 3-5 hour window from the last time. If she’s not asleep on me or needing to be fed, I’ll put her down on her play mat for 20 minutes while I express. I’m always in the same room and sometimes I sit on the floor next to her while I’m expressing so I can interact with her more closely and she is happy with that. I don’t stress anymore about doing it exactly every three hours now, as I know my supply is established, and I have my spare in the fridge so if I haven’t been able to pump and she is hungry, there is always milk there. We still go out and do things, I just have to time things carefully and if we’re late, then we’re late! I thought it was a lot when I first met hubby, but now it’s the norm for me! I do like a full fridge though, I find it reassuring in a funny way! Oh wow! So many vegetables….We probably only ever have half of them in the fridge. Eek! We don’t have masses of each veg though, there’s not as much choice as that by the end of the week! I buy ‘normal’ cheddar as the harder the cheese, the less lactose there is in it. I think I prefer lactofree milk now; it tastes less creamy to me. Kale is awesome as it requires no preparation- I just shove it in the steamer! Plus it’s cheap – always a bonus!